Our master clockmaker has been rebuilding grandfather clocks for nearly 40 years. From clocks in the Pennsylvania State Capitol Building and street clocks in Pittsburgh to grandfather clocks throughout the Cleveland, Ohio suburbs. He began his apprenticeship at the age of 11 and bought his tools and business at the age of 14. After more than 38 years now, and thousands of clocks later, he is considered an expert in the field of antiquarian horology. Erie to Pittsburgh, Harrisburg, and the greater Philadelphia area. 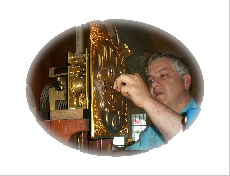 While we specialize in 18th and 19th Century grandfather clock restorations, we also repair any mechanical grandfather clock regardless of make or vintage. 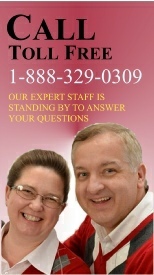 If you have a smaller clock that needs repaired, follow the instructions provided on our mail order clock repair page. We don't just fix your clock, but we are careful to restore or conserve your heirloom with the highest quality professional craftsmanship. We offer a one-year warranty with our work.